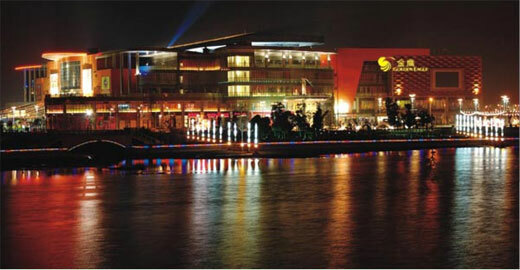 Yangzhou Jinghua Store is situated at the west district of Yangzhou, the newly emerged urban cluster with 29,598 sq.m. of Gross Floor Area. It was in trial operation in 25 April 2009. It is the main store of Cpcity Shopping Mall, accommodating a variety of business formats including leisure, entertainment, catering and cinema etc, together to create a comprehensive business center. As at 31 December 2018, the GSP of Yangzhou Jinghua Store reached RMB610 million in the full year.